You have won a beautiful lampwork lentil from Ema K.
Please send Ema an email with your information. ....Bertha! Bertha has a surprisingly big ol' belly. I did my first bisque firing last week. I imagined I had enough to fill her up but I was wrong. 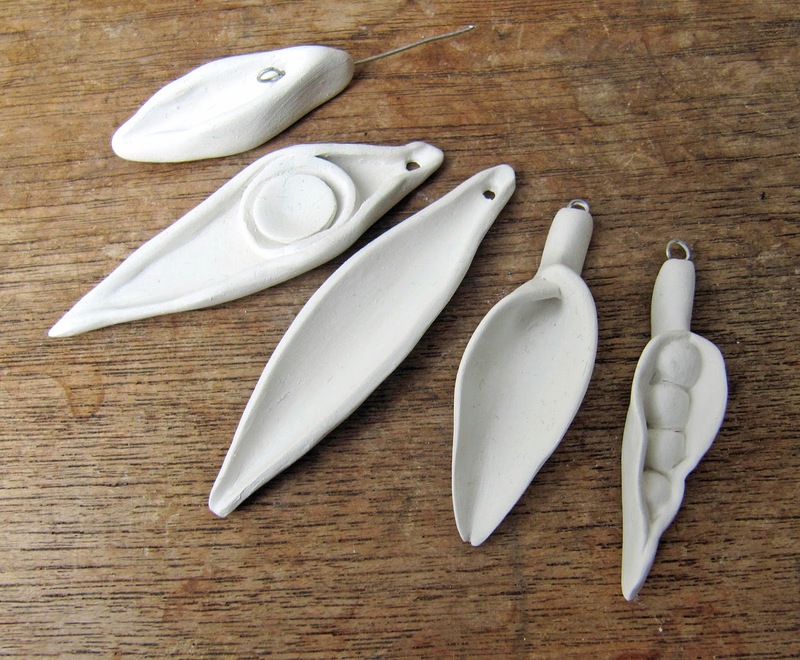 I have another bisque firing 'scheduled' so I can fix oxides and underglazes on the pieces from the first firing. Now I'm aware of just how much will fit inside, I'm busily trying to get enough greenware made up to pack out all the space there'll be in this second firing. 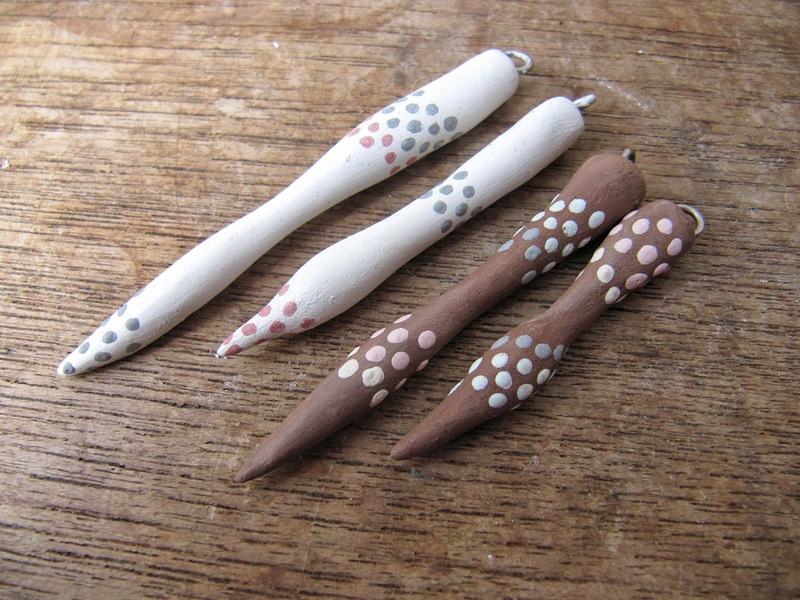 So, I have a lot of bisque and greenware beads on my hands and I thought I'd share a few here. I've been getting some seasonal, winter-y pieces made. Which brings me to polar bears. 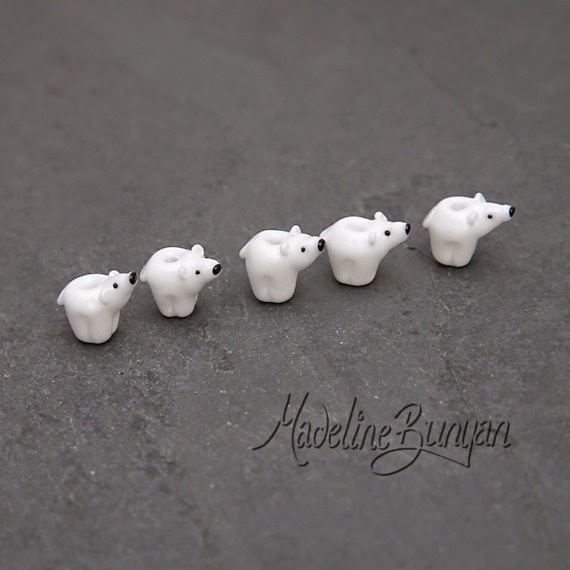 Madeline Bunyan makes the most fabulous teeny lampwork polar bears. I always get some as Christmas appears on the horizon. This gang of five turned up at mine yesterday. I do love polar bears and these are really are teeny. 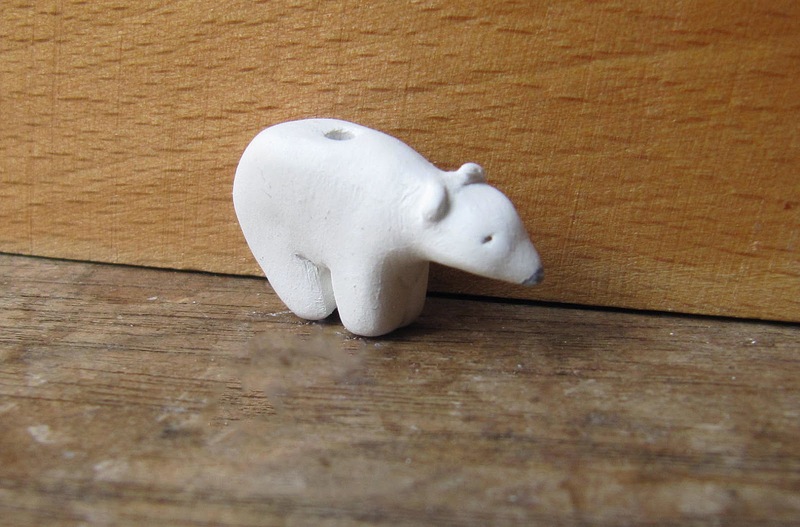 I've tried making polar bear beads from polymer in the past; the results were always a bit lumpen. Anyway, I thought I'd try making a little ceramic polar bear. 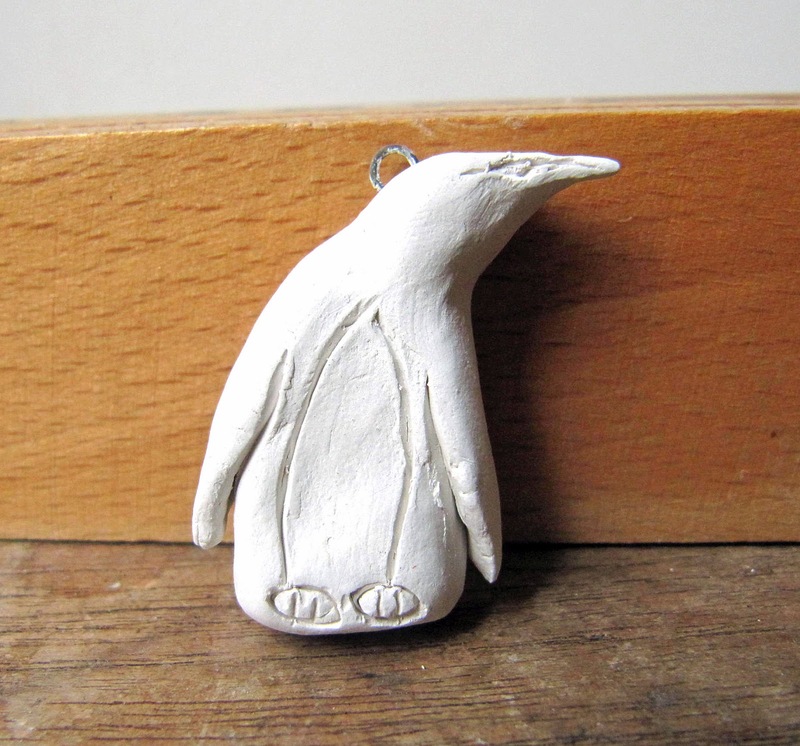 I'm not very good at 'little' generally - not as good as I'd like to be, at least (see the quite large penguin above). I'm fairly pleased with it but there's a chance it'll be a run of one because it took me a fair old while to make it. The ears: argh! It would probably have been easier if I hadn't decided to make it whilst I had the porcelain out. 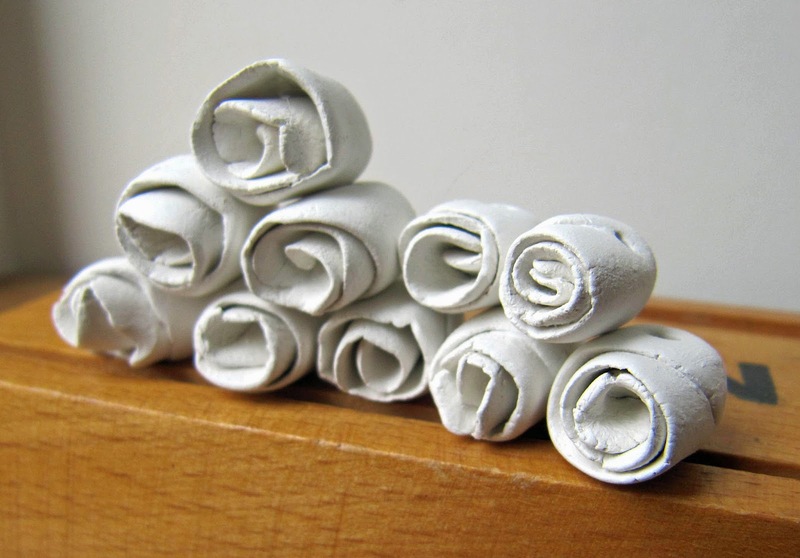 A white earthenware would surely have made things easier. That said, I have been loving the porcelain. 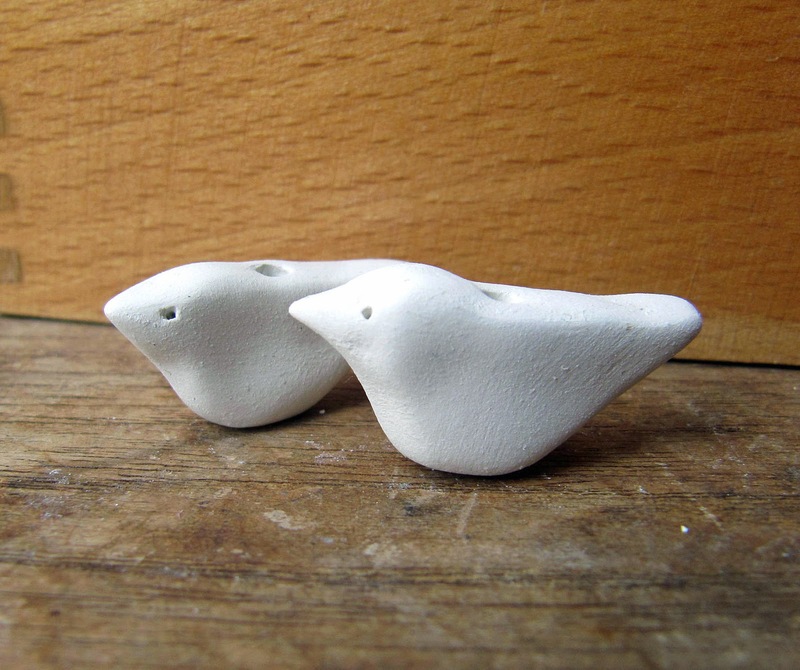 Here's a few less winter-y pieces that are waiting to be fired. 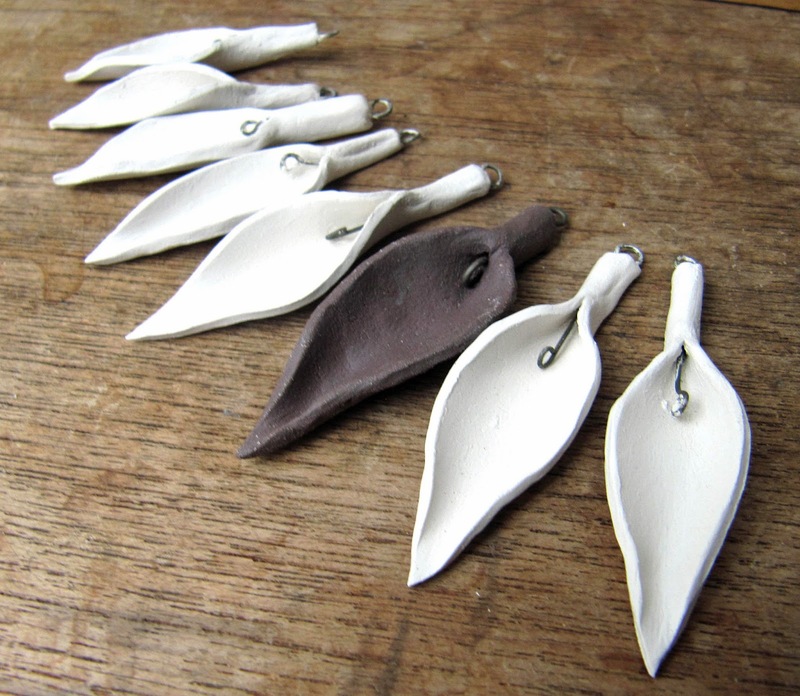 I can't stop making lily/seed/pod type forms. In other studio business, I had to have a bit of a tidy and a clear out to accommodate my ever growing glaze collection. Accumulating the pile of mess below has been the work of several years. My poor Hornsea hen, festooned with scraps of wire, ribbon, linen, gem tassels and lord knows what else. There was even a heap of Twizzlers from all my Lima Beads orders - see there, on the left of the picture. Eventually, I managed to sort through it all ( / just sling a load of it in the bin) and get some order in place. Now I have everything conveniently positioned next to me so I can grab it as I work. 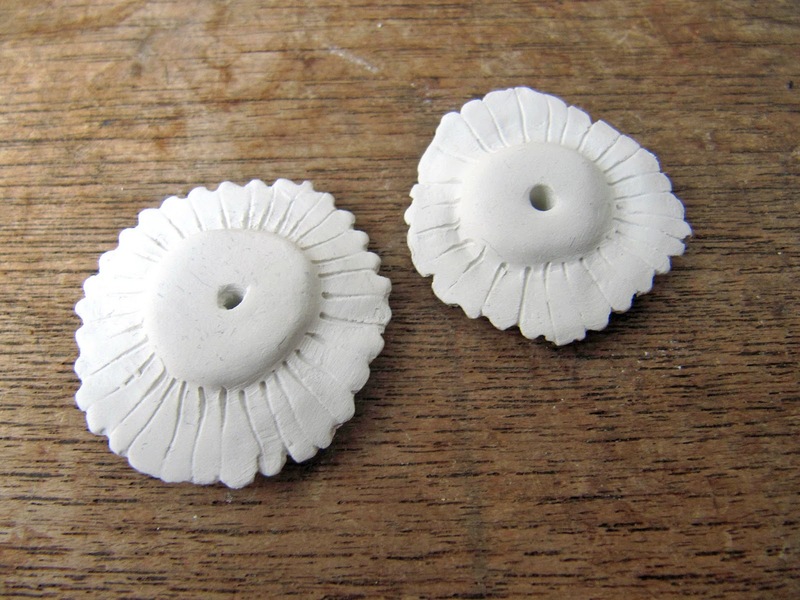 I have also found time to make some jewellery, here and there. Here's just a few pieces. Only joking! The prize is $20 of credit to spend in either my bead or my jewellery shop. The question to answer is: who makes your favourite winter-y / seasonal art beads and what are they? Comment below for the chance to win that $20 of credit! Although I lust after so many pieces and artists, Donna Millard gets my vote hands down! Her Christmas beads with holly and ice and sparkle (oh my!) look to me like the most precious, teeny ornaments and beg to be worn! Love those igloos Claire!! And all your other new work. 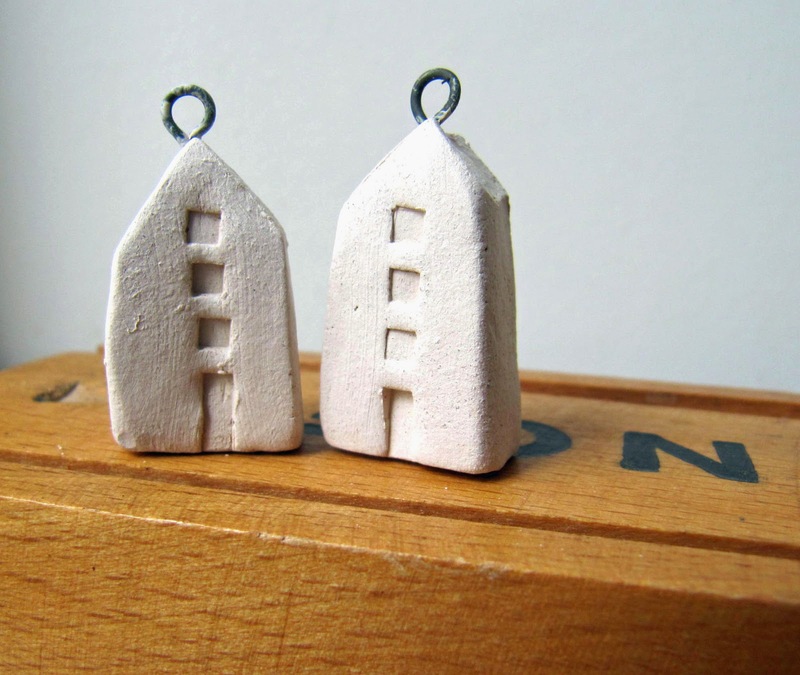 So exciting to see how excited you are by having a kiln and working with clay!! 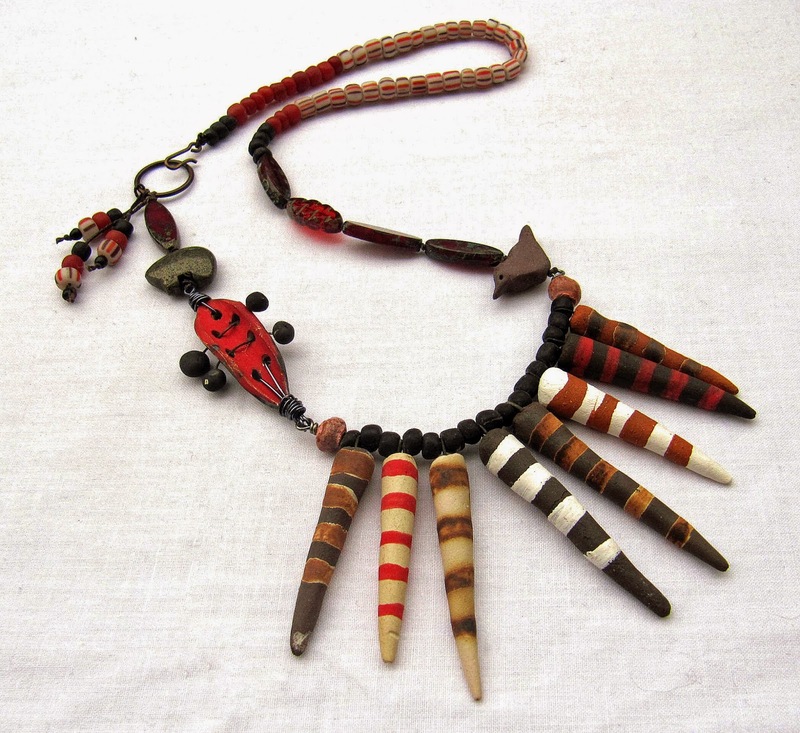 My favorite seasonal beads ( and I know I am not in the running for the prize) are from Eluka with the pine trees. What an absolutely original post of a British based artisan. I haven't come across you before and am positively jiggling with delight at 'discovering' you (and your links) to other fabulous artisans. I got all nostalgic when I saw your kiln. I had one years ago for China painting but had to leave it on the removal van when I was forced to downsize. I might pick your brains about yours. Lol, NOT THE TWIZZLERS! I have my own collection from Lima Beads. Hate Twizzlers. I save them for treats for my nieces for when they get upstairs Auntie Colleen time. Probably my most favorite winter/Christmas beads are made by Stephanie Gough and I have yet to manage to get any. 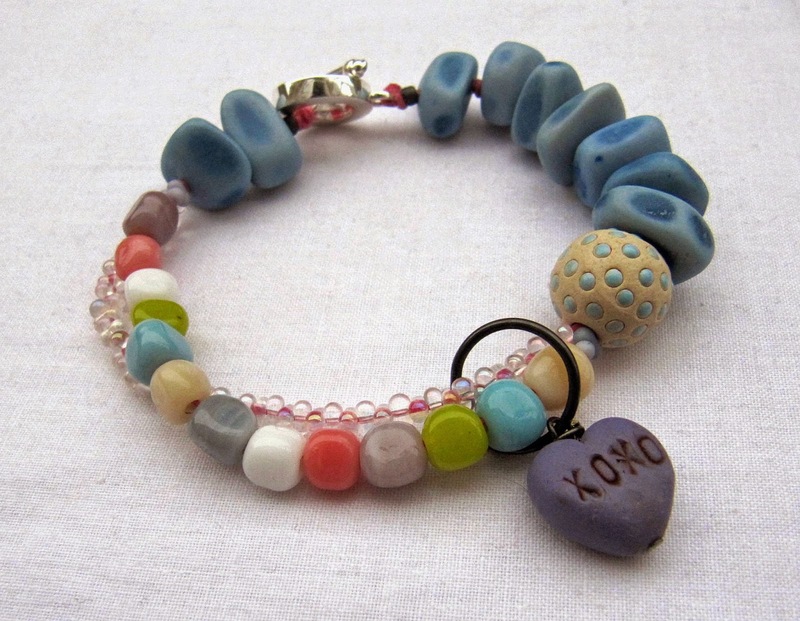 Love her hearts and her sandblasted beads. I'm quite taken with your polar bear bead.Well done! As for favorite winter holiday beads, what comes to mind are Donna Millard's gorgeous lampwork glass holly dazzle beads. The holly and berries look perfect against the snowy bead surface. 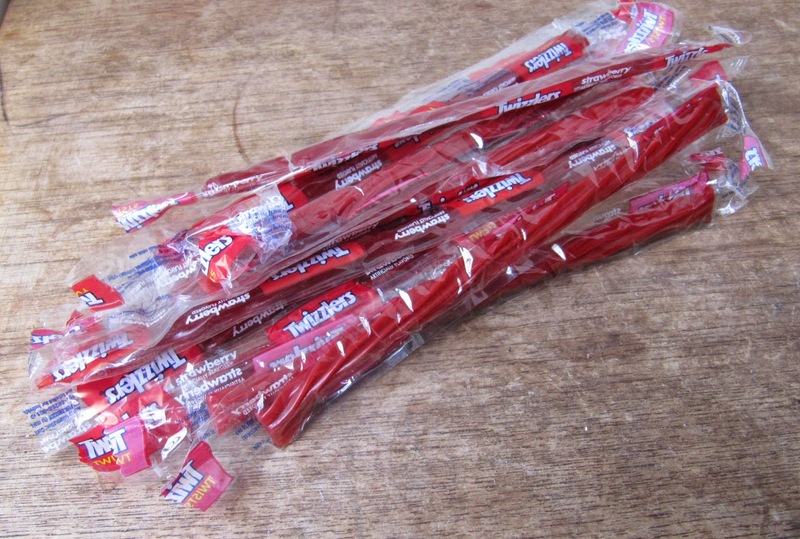 I am a twizzler addict so a pile of those is always a good thing. I just love the igloos and that penguin. I collect them and rarely do I see any penguin focals or beads. Beautiful beads! 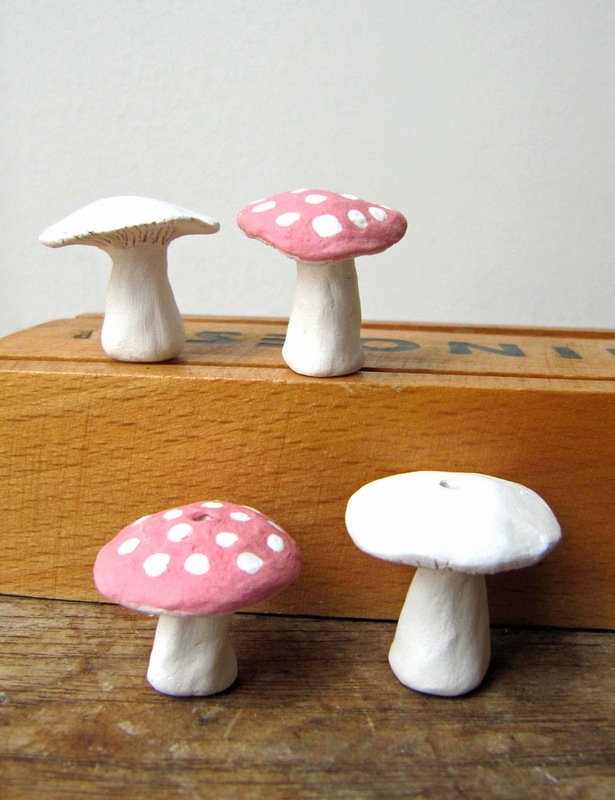 I love ceramic beads. The ones that come to mind for me are Humblebeads animals with scarves as I am a great animal lover. I envy that kiln! I'm fairly new to jewlery but I have a few Lima Beads Twizzlers myself! I thoroughly enjoyed this post, thank you for the great giveaway, too! As for seasonal beads, I love the selection at Humblebeads, the J-Lynn Jewels wood tiles, the gorgeous ceramic holly leaf by BoHulleyBeads and the lampwork by Niki Rogalski (bastilleblue). I love your polar bears they are so sweet. I also love Humblebeads. She has gorgeous beads that I have been using for years. I don't make jewelry with a holiday theme much, but I do make some pieces in my shop that are wintery, like pine boughs, snowflakes, snowmen, that sort of thing. So I prefer things that evoke a season rather than a specific holiday. I love the igloo and polar bear! So adorable. Lately I have been seeing penguins that I think are to die for. Thanks for the peek inside your studio and sorry that I cannot win! Lovely beads Claire. I can imagine you are excited to get the kiln up and running. The polor bear is cute, cute, cute. I actually don't really like winter beads. I moved to San Diego 17 years ago to escape the frozen north, so I am much more of a sun worshipper and I do not celebrate cold or snow. 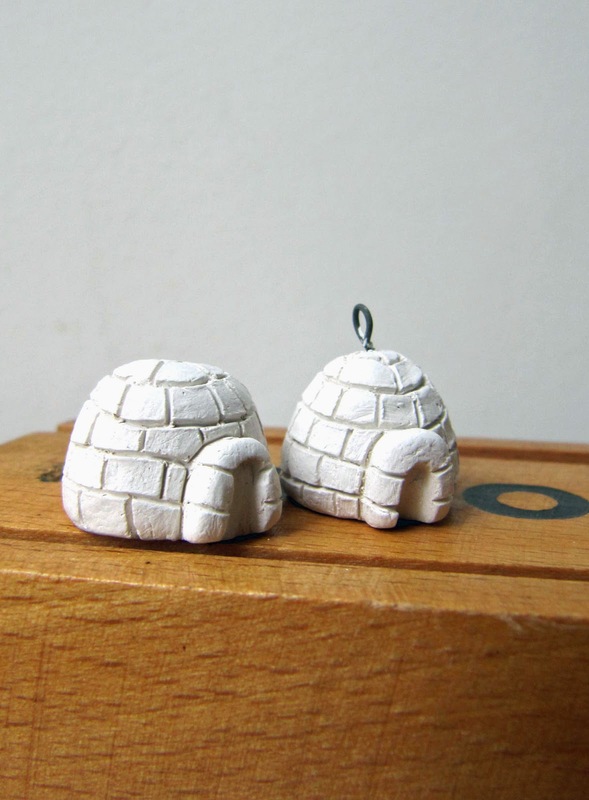 However, Heather Powers makes some great winter themed beads. So far I like the Golem beads but I am learning about more people to love! Oh yeah I'll take the twizzlers too! I keep turning to humble beads recently. 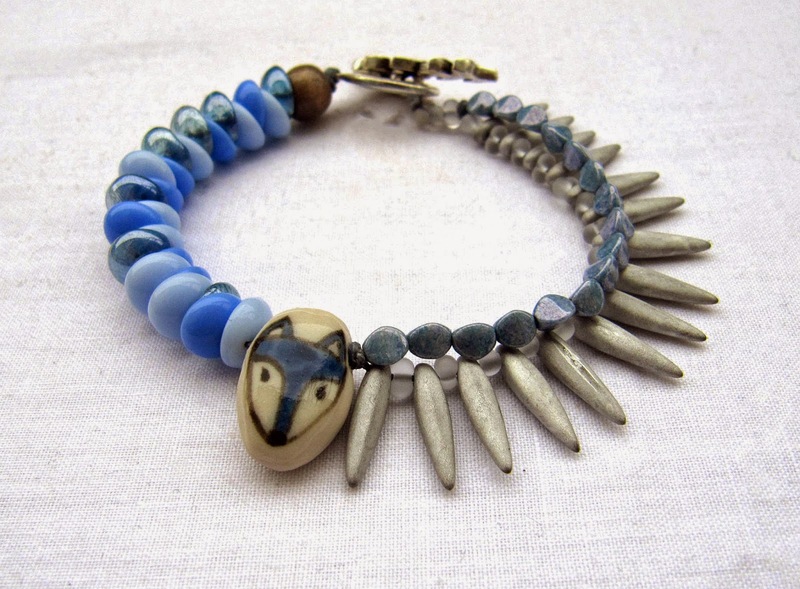 I love the house beads and the little foxes wearing scarfs!